The latest promotional materials for Burlington band Carraway are awash in nautical imagery. To wit, check out that fancy schooner on the cover of their first full-length album, The Bad Year. I smell a metaphor, and it's probably something like this: A sailing vessel is at the mercy of the seas on which it travels. Only through discipline, skill and a bit of luck can a sailor hope to navigate the choppiest waters. Such is life in one's twenties. Carraway vocalist, guitarist and primary songwriter George Manion comes close to explicitly stating as much throughout the album's nine tracks. The years between 20 and 29 are a good time for experimentation, and Carraway seem to be doing just that on The Bad Year. The hallmarks of their 2014 self-titled EP are still there — high-voltage chords and lyrics that imply a self-destructive streak. But Carraway introduce some new styles and elements here, dipping their toes in the waters of country and conventional pop. 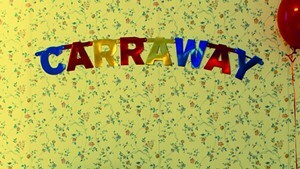 Most of the album retains Carraway's signature sound, at least in part. "Last Night" is the best of their down-the-line power-pop tunes. Its chorus is thick with overdriven chords, strummed in furious eighth notes that slam against continuously crashing cymbals. They also throw in some nice handclaps for punctuation. Manion's deep-seated heartache is apparent early on, as he sings, "You're probably in bed with some other boy / I'm probably wishing I was him / I'm probably alone / By myself again." "A Company Man" seems like a cross between a nursery rhyme and a drinking song. It reveals the drudgery of young musicians who struggle to create art while working tiresome, thankless day jobs. Manion sings, "Laying out every piece of the plan / Everyone knows I'm a company man / But I was made for something better." Carraway travel the farthest into uncharted territory on "Cereal." Its stomp-clap rhythm and haunted, jangly guitar put the song squarely in country. Manion casts himself as a ruthless rustler when he sings, "You gotta tie 'em up by their ankles / String 'em up from the rafters." Other new elements are the heavy drum machine and atmospheric synths on "I've Come to Love." But the song's third act reminds us we're still listening to Carraway as a surge of guitars and live drums overtake the electronic elements. Carraway's experimentations shouldn't be seen as a divergence in need or course correction. Their stylistic dalliances enhance their power-pop foundation, as opposed to setting it adrift. And who says they've even plotted their course? They're young and, quite likely, still finding their sea legs. 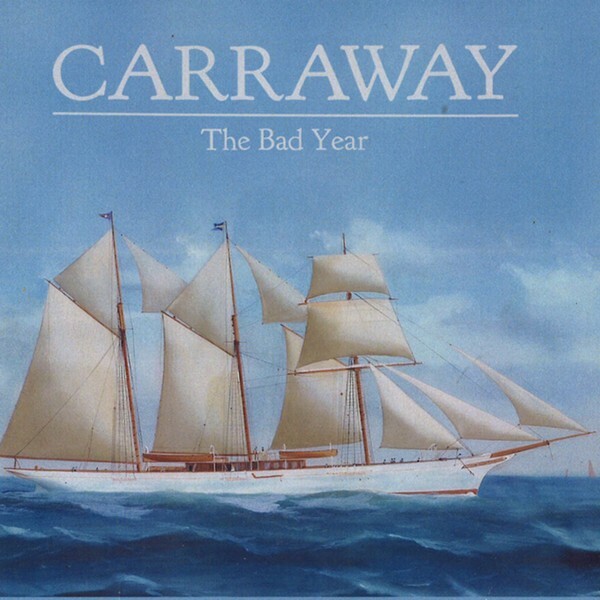 The Bad Year by Carraway is available at wearecarraway.bandcamp.com.